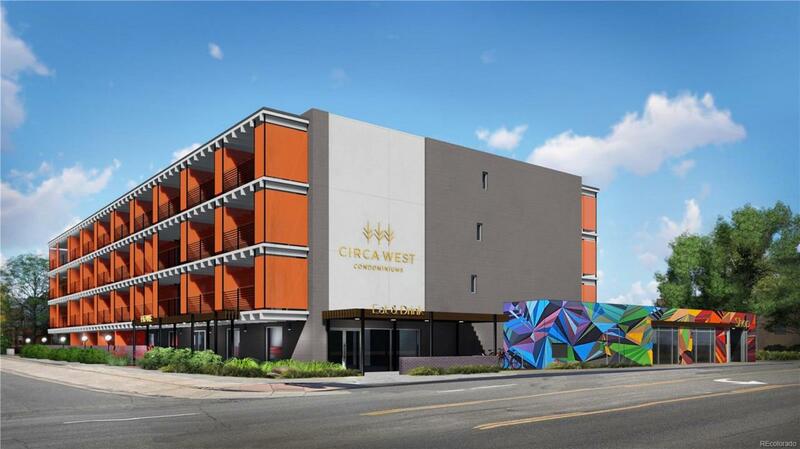 * CIRCAWESTDENVER.COM * NEW CONDOS UNDER CONSTRUCTION; RESERVATIONS EARLY FEBRUARY; DELIVERY LATE SUMMER. Located in the heart of the vibrant West Colfax/Sloans Lake neighborhood, Circa West offers 64 new studio and 1-bedroom condos in one of Denvers most exciting areas. This iconic building of solid masonry construction is being completely renovated. Condo units are perfectly planned for contemporary living, featuring lively finishes and modern design. The community will embrace the buildings vintage character updated with a completely new and modern appearance. Each residence includes a large private balcony to enjoy Denvers exceptional year-round weather. The project offers three primary floor plans. Ideal location minutes from downtown and other Denver landmarks. Public transportation nearby. Sloans Lake just two blocks away for popular recreational activities. BRONCOS FANS, 2 miles to the stadium! All of this at an affordable price. Visit CIRCAWESTDENVER.COM for more details.